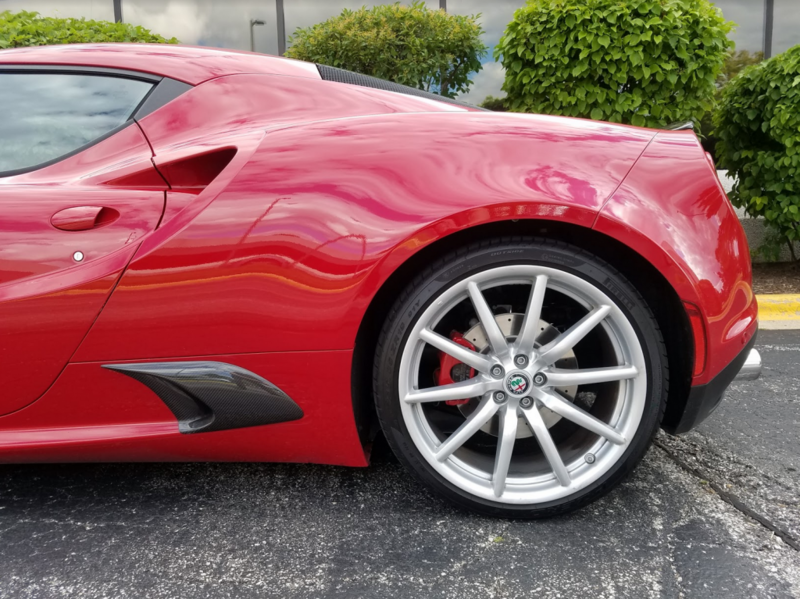 For better and for worse, the Alfa Romeo 4C is an unforgettable car. No regular 2017 production vehicle offers a purer, more immersive driving experience—or demands as much tolerance from its occupants for high NVH levels and other comfort shortcomings. 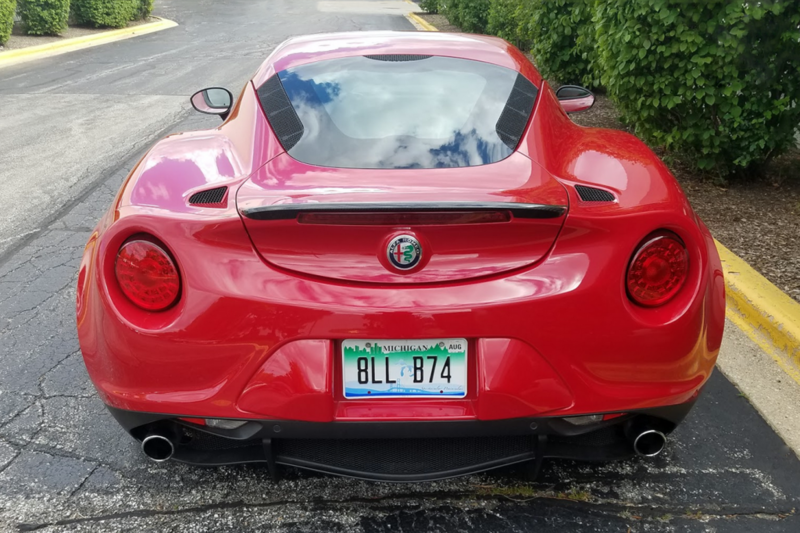 You can check out our recent road-test experiences with the 2017 Alfa Romeo 4C here and here, but we thought that the outrageous bodywork, the unusual ergonomics, and the many interesting details of our latest 4C tester deserved a closer look. Check out our pics and video below. 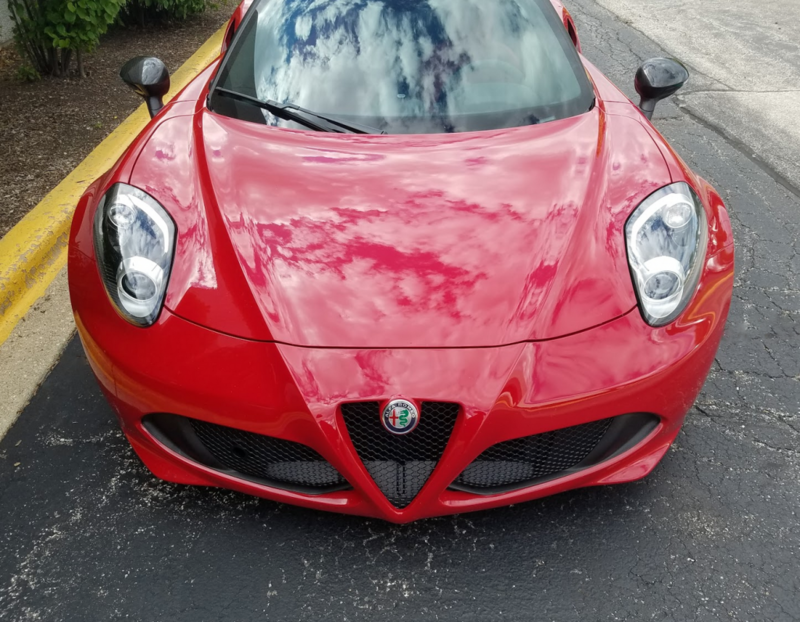 The 4C sports supercar styling cues, but on a very small scale. Its overall length is 157 inches on a 93.7-inch wheelbase (both notably shorter than a Honda Fit), and overall height is just 46.6 inches. Silver fan spoke wheels (18×7 in front, 19×8.5 in the rear) on Pirelli P-Zero performance tires are an $1800 option. Note that the side-marker lights are integrated into lip of the wheel openings. 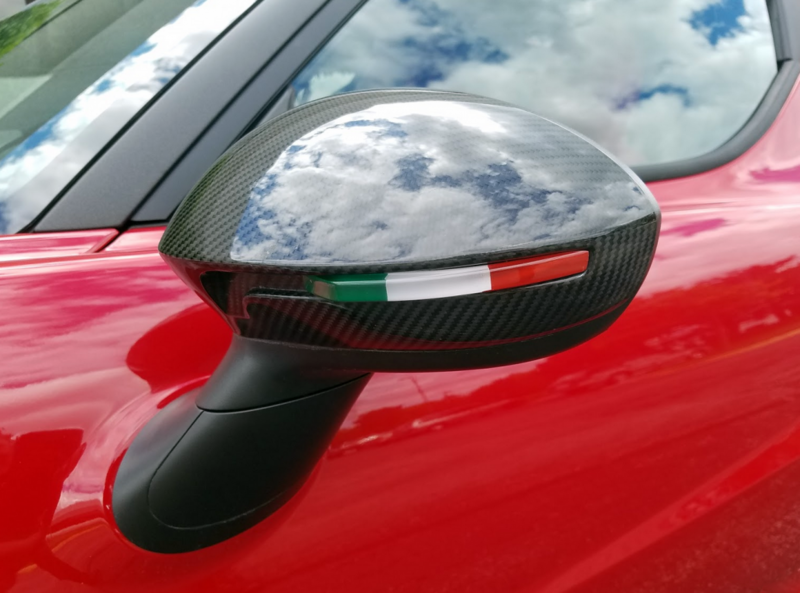 Here’s a fun option: Carbon-fiber Italian-flag rearview mirrors will set you back an extra $300. The 4C’s bodywork manages to be aggressive and kind of cute at the same time; it’s the automotive equivalent of a mean little terrier. Cooling vents, large round taillights, prominent exhaust tips, a carbon-fiber rear spoiler, and a rear diffuser with integrated backup lights dominate the rear view. 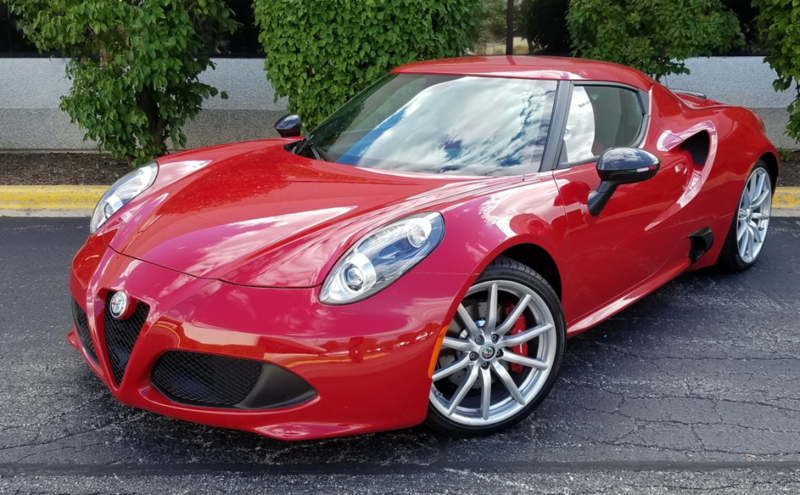 Even with a mild goosing of the throttle pedal, the 4C’s turbocharged 237-hp 1.7-liter four has a snarky sound. 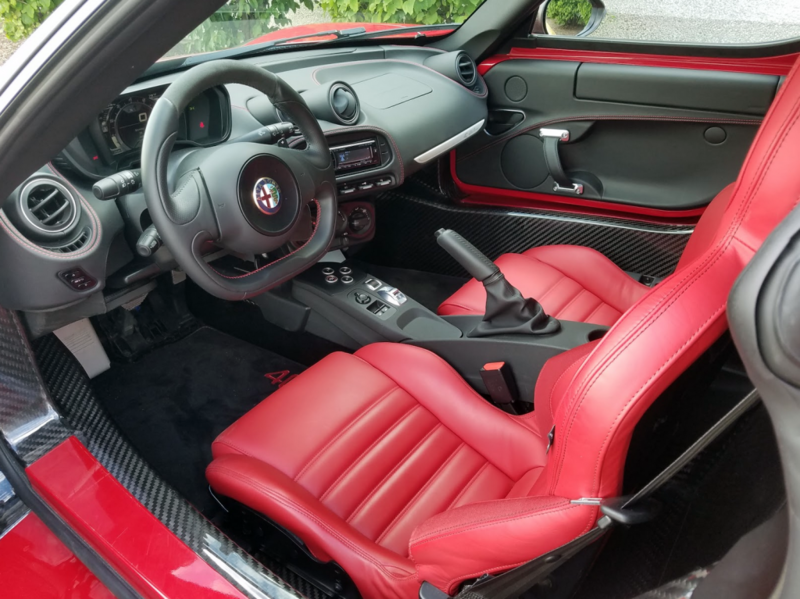 The 4C’s cockpit could be called cozy, if you were feeling charitable. Even with the $2000 leather-upholstery upgrade, this cabin is much more about performance than a comfortable ambiance. Copious amounts of structural carbon fiber add to the no-nonsense feel. Race-car-style floor-hinged throttle and brake pedals offer fingertip-precise control. 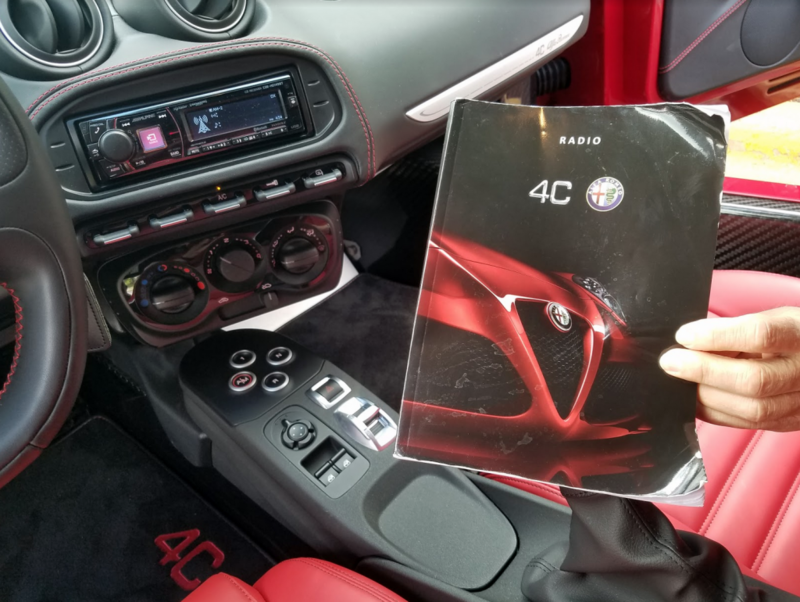 The 4C’s unusual push-button gear selector takes some getting used to, as does the clunky feel of the automated-transmission in low-speed maneuvering. 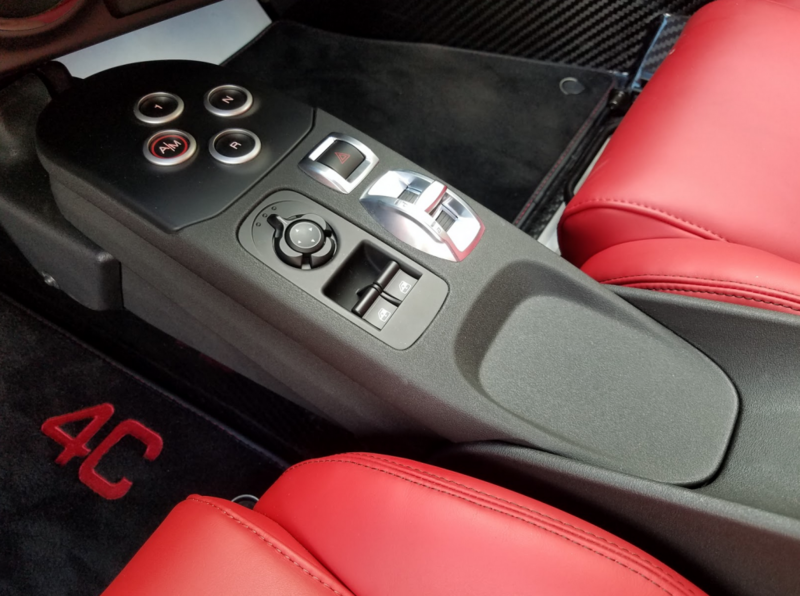 Power window and mirror switches, a hazard-flasher button, and Alfa Romeo’s DNA drive-mode selector (which allows the driver to choose between Dynamic, Natural, All-weather, and race modes) round out the console controls. 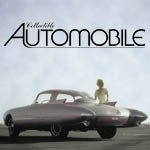 Want to figure out the many mysteries of the optional Alpine stereo system? You’ll need to spend some quality time with this surprisingly thick perfect-bound manual. We’re assuming that this one is dog-eared from lots of previous use. 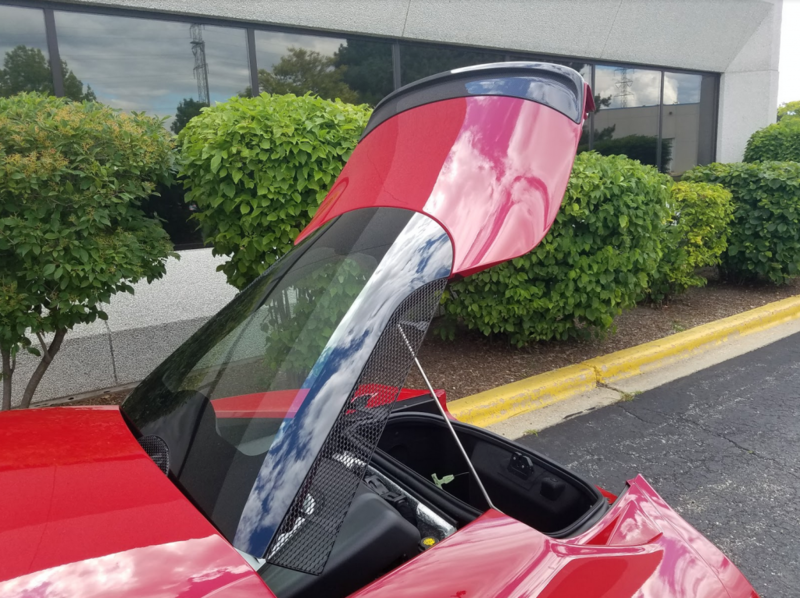 Engine-compartment cooling vents are integrated into the 4C’s rear hatch. A great looking louvered engine-cover panel and a nicely machined aluminum filler cap add some visual interest to the engine compartment—which is clearly viewable through the rear window. The 4C’s cargo capacity is, well… bad. 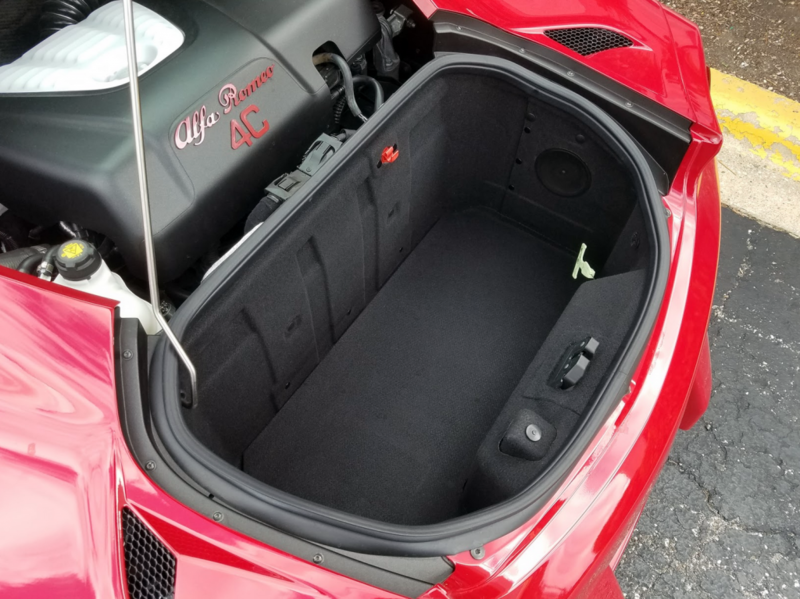 This stingy little trunk offers just 3.7 cubic feet of space, and it’s right next to the engine. If you’re bringing home ice cream from the grocery store, make sure it’s a short trip. 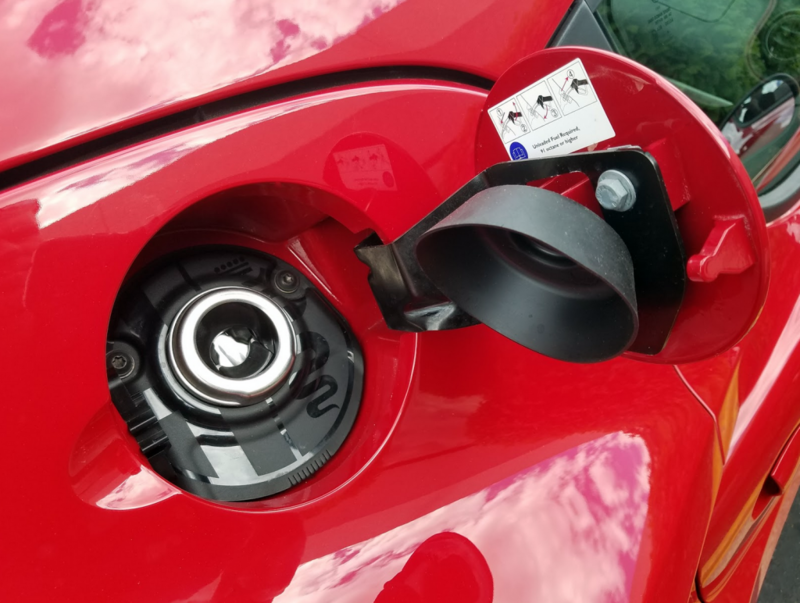 Check out the sneaky Alfa Romeo logo surrounding the fuel-filler neck. Neat, right? Written by: Damon Bell on September 1, 2017.on January 12, 2018.